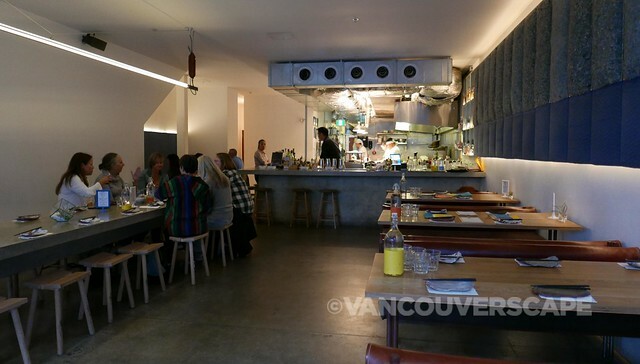 It’s been a few years since our last visit to Vancouver’s popular Main Street eatery, Torafuku, and with their recent three-year anniversary, I thought it might be a good time to see what Executive Chef Clement Chan and his team have been up to. The collection of Pan-Asian dishes have evolved into even more goodness over the years. There’s a $60-per-person seven-course tasting menu if you’re not sure what to order, but my eyes are immediately drawn to Everyday I’m Brusselin’, a Torafuku favourite. 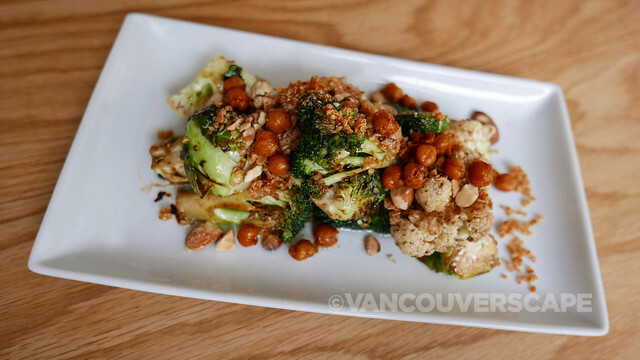 This flavour-packed starter is loaded with grilled Brussels sprouts, cauliflower, broccoli, black bean vinaigrette, with crispy chick peas and toasted almonds to boot. 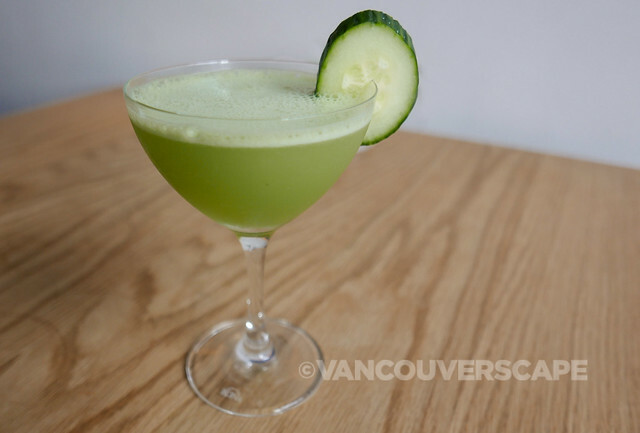 It pairs nicely with People’s Cocktail (a refreshing mix of Beefeater Gin, cucumber, elderflower, ginger and lemon). 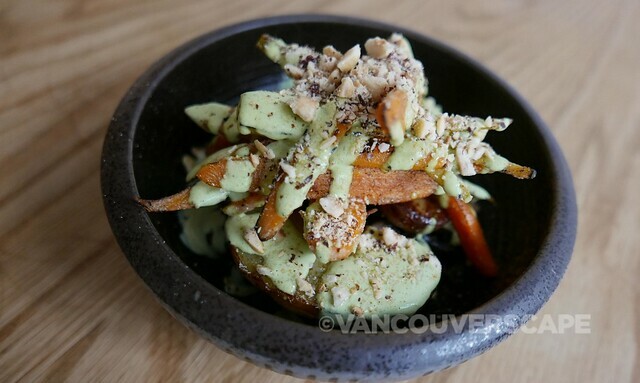 Our next order is 24 Carrot Gold, with EVOO confit miso baby carrots (yes, that’s just one ingredient), sautéed mushrooms, baby spinach, roasted new potatoes and toasted hazelnuts with a drizzle of green goddess dressing. 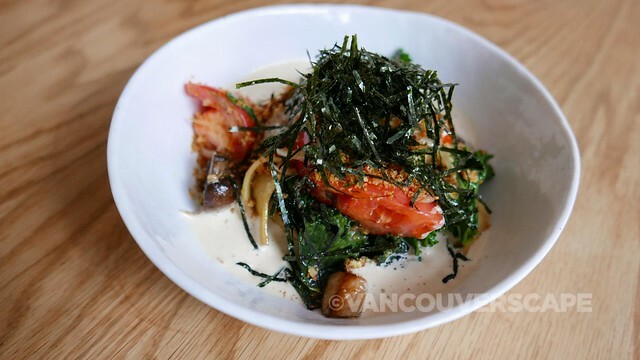 Miso Tasty, containing strips of homemade pappardelle, smoked heirloom tomatoes, kale, miso brown butter, tamarind espuma and shredded nori on top becomes a new fast fave. 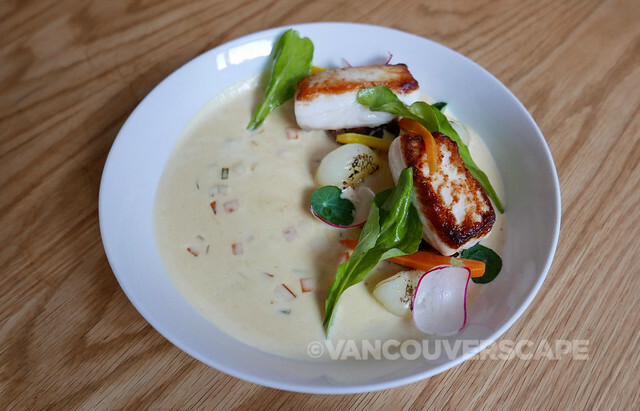 For seafood lovers, Finding Dory is a beautiful combination of Sake Katsu halibut, miso-buttered carrots, charred cipollini onions and grilled fingerling potatoes in a dashi chowder. While my preference leans towards fish and veggies these days, Torafuku will also satisfy carnivores with Higher Steaks (charcoal adobo Wagyu beef), General Tao’s Fried Chicken, Duck Leg Poutine and The Donald (grilled 5-spice duck breast) with shaved foie gras, roasted cauliflower puree, ginger and stinging nettle spätzle. Every dish on the menu is sharable and Chef Chan sees to it that the ingredients mesh just so. 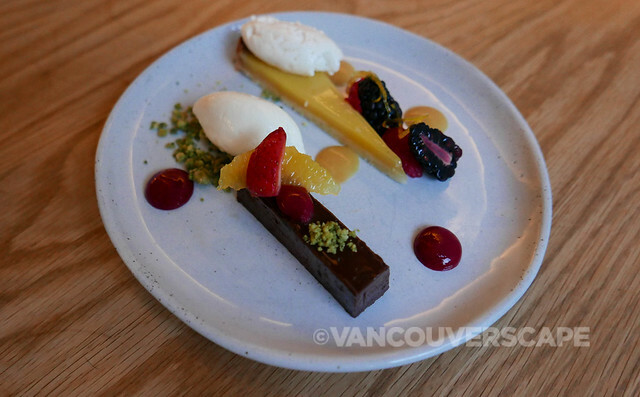 If you’ve still got room for dessert, there’s currently two items to satisfy: Magic Stick (chocolate ganache, hazelnut feuilletine, matcha crumble, condensed milk mousse) and Humble Pie (Kalamansi custard, citrus tart, candied orange, vanilla mousse). On the flavour spectrum, they’re polar opposites and can be ordered in half portions for sampling a bit of each. Look for Torafuku’s menu to get switched up over the coming few weeks in keeping with the season. The cocktail and dessert menus will both receive a few fall-focused choices as well. Torafuku is located at 958 Main Street at the border of Chinatown. They’re open daily (except Mondays) from 5:30 to 10 pm. 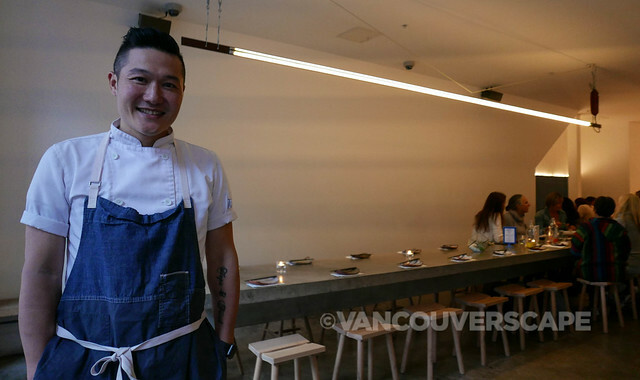 Clement Chan attended culinary school at Vancouver Community College and was recognized early on as a rising star, winning provincial awards, representing Canada in the World Culinary Olympics, named National Chef of the Year and appeared on Top Chef Canada and Eat St. He’s worked at a number of notable restaurants in the city, including Hapa Izakaya, Chambar and Blue Water Cafe.